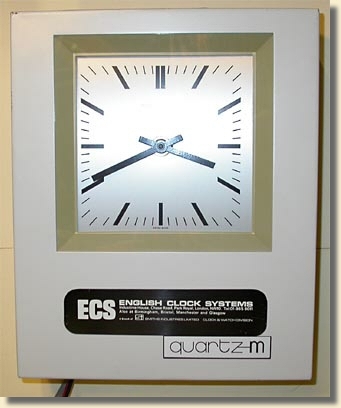 This was a pioneering use of a quartz controlled clock as a master clock in the mid -1970s. The clock has a nickel-cadmium battery, trickle-charged from the AC mains power. The quartz clock gives a one-second pulse every minute, with a maximum current capability to drive over 100 slaves. There are internal switches to allow the slaves to be stopped, advanced or retarded. 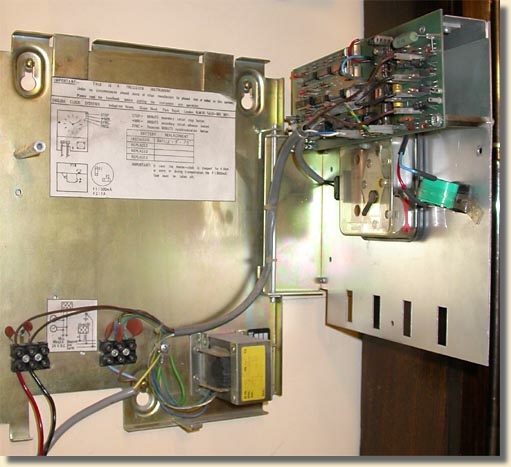 The clock has an electronic memory in the event of a mains power failure. The missed impulses are stored and later sent to the slave dials when the mains power is restored. This is a similar concept to the Memory Master clock with its mechanical memory. The clocks were made by Patek Philippe in Switzerland, and badged by English Clock Systems.